Thanksgiving is one of my favorite holidays. In fact, it may just be my favorite holiday because it is the perfect time for some family fun. As awesome as Christmas is, Thanksgiving just might be better in my book because there aren’t any presents to open. This means there is time to just focus on family fun, family traditions, and family togetherness with family of all ages. Thanksgiving is the perfect time to focus on the little things we all so easily take for granted and share the things we’re all grateful for all year long. While we used to spend Thanksgiving with extended family, these days we generally spend Thanksgiving with just our family. 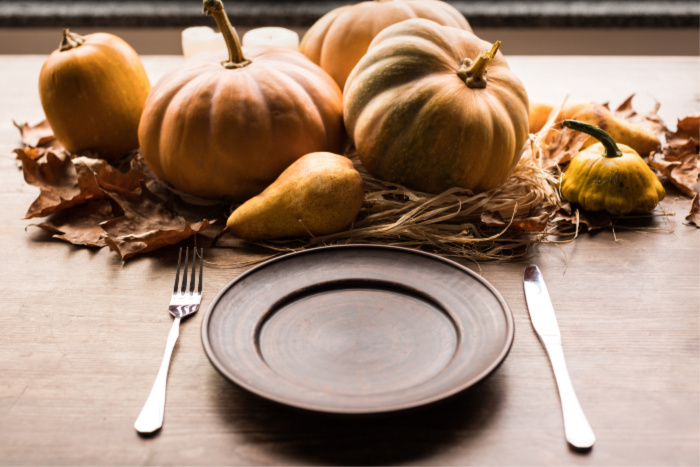 My husband often has to work on Thanksgiving so we are usually enjoying our Thanksgiving dinner at a time that is just a bit out of the norm like late morning or late afternoon to early evening. I’ve had some readers email asking about whether we follow any traditions for Thanksgiving in our family. 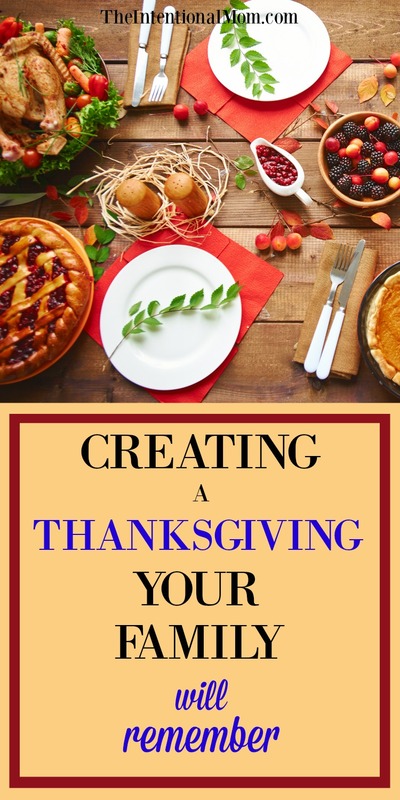 We are always on the lookout for new Thanksgiving traditions so I’d love to share ours with you. So, most years Thanksgiving traditions for our family are a combination of something new to keep things more fun and our favorites family traditions listed below. Before you read any further, be sure to grab our free printable that can be filled out by kids of all ages that helps them focus on things to be thankful for. 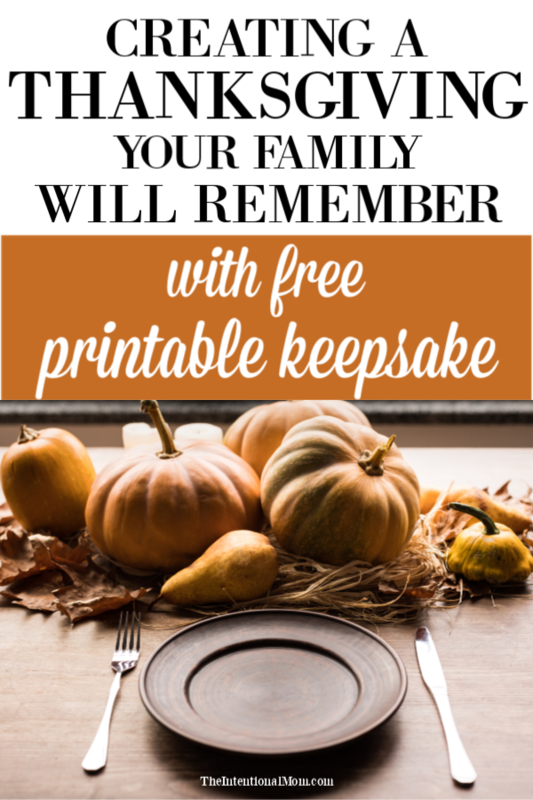 These make amazing keepsakes and are fun to read each year when Thanksgiving rolls around again. One of our favorite traditions has become reading the lists our kids have filled out each year and seeing how their lives and perspective changes. You can enter your email below to have it sent right to your inbox. Print one off for each of your kids and be sure to pin this post so you can print the same thing off each year. I am happy to share the things we have done over the years for Thanksgiving in our family. When we do spend the day with extended family, we modify our traditions a bit. But, isn’t this the beauty of family traditions? You are the one who makes the rules! Traditions are all what you make of them, and there is nothing wrong with modifying them to make them fit. One year my family was nearly all sick on Thanksgiving. So, we didn’t do anything on the actual holiday, but we celebrated Thanksgiving a few months after the fact when everyone was better. There are many years when we celebrate Thanksgiving on the Sunday after Thanksgiving because my husband had been working on the actual Thanksgiving day. The food really does all taste the same, and we did things just the same as we would have done them on Thanksgiving. After all, when it’s all about spending time with family and focusing on being thankful it is as easy to do those things on a Sunday as it is on a Thursday. Thanksgiving is my favorite holiday since the focus really is on sharing faith, family, and good good all combined into one activity. The things we do in our family are generally low key, and some of them start in the week or two leading up to Thanksgiving itself. I truly enjoy having a more laid back day, which is what we end up with. One thing I do to make preparing the Thanksgiving meal easier is to make what I can ahead of time. Many of the vegetable dishes can be made a few days ahead of time and so can the desserts. There have been many years when the only part of the Thanksgiving meal I’ve had to make on Thanksgiving is the turkey! In the days leading up to Thanksgiving, we read this book together. It is an amazing accounting of the Thanksgiving story from a Christian persepctive. It is written by Barbara Rainey, wife of Dennis Rainey who is the founder of Family Life. This book has amazing pictures and comes along with a CD of beautiful Thanksgiving music. The book is a bit pricey, but it is so worth it, especially because you will be reading it year after year. There is also an audio CD of the book. We have this audio version, and it is really well done – much less expensive, too! We especially love listening to the audio version in the car. Actually, we love all audio books in the car all the time. We read a few other Thanksgiving books, too, and these are some of our favorites. We have a collection of books that are appropriate for various ages. The younger kids are present when we read them all, but they really love when we read ones that are geared toward younger kids. 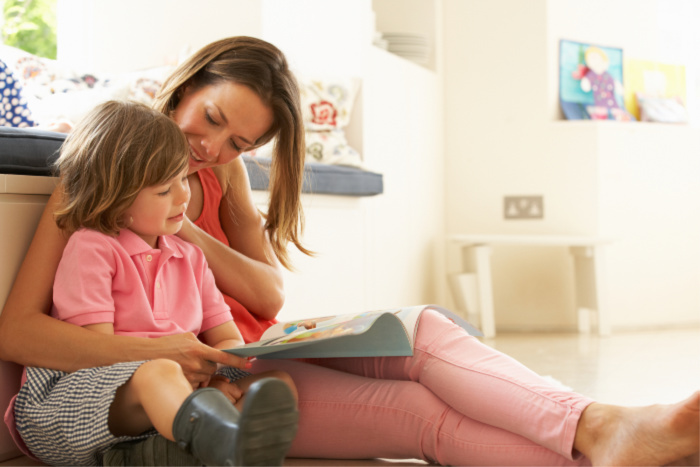 Reading Thanksgiving books is a great way to spend some family time together in the evenings leading up to Thanksgiving. It really helps younger kids learn that Thanksgiving is about more than just eating turkey until you need a nap. Thanksgiving morning always starts with our traditional french toast casserole. It’s not so much about what we’re eating Thanksgiving morning, it’s more about the tradition that remains the same year after year. It’s super easy to make, and since it’s made the night before breakfast is super easy that morning. This is also a plus in my book. My older daughters love creating a beautiful table including homemade place cards, cloth napkins, and fancy dishes. Some years, we have cut out leaves with construction paper and all written things we are thankful for on the leaves. We then read these during dinner. Then we decorate the walls with them somewhere in the house. These are fun to decorate the house with the following year. Other times, we have had our kids write or dictate a list of 10 things that they are thankful for each Thanksgiving. These are so precious to go back and read. 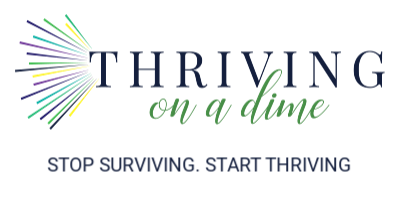 A fun spin on this is to assign each family member a different family member and then write or dictate a list of 10 things they are thankful for about that person. 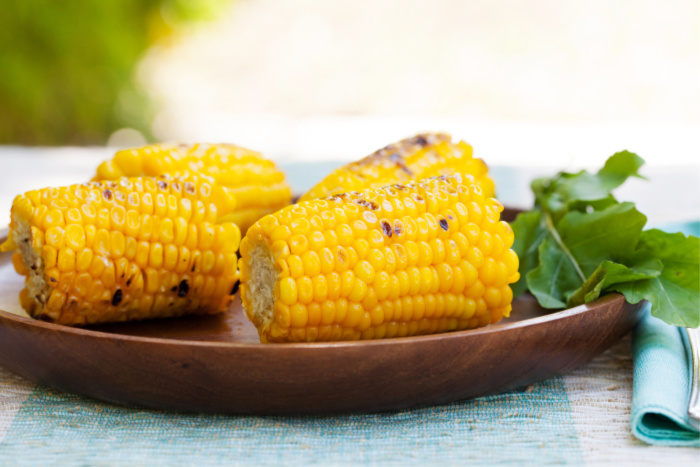 At times we have started our meal by placing five kernels of corn on each person’s plate to symbolize the extreme hardship the Pilgrims faced when first coming to the New World. There is always plenty of help in the kitchen preparing the Thanksgiving meal, and often it is my oldest son who sticks with me the longest. He is such a sweet boy. 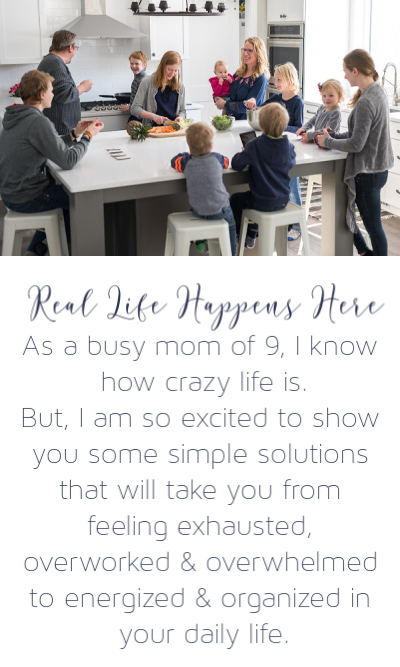 Have the kids serve the meal restaurant style – it’s a win-win! In the time between dinner and dessert, we are usually playing games in our family. I think the key to having a successful Thanksgiving, is keeping the focus on being thankful, the love shared between the people you’re with, and reflecting on the life you live not only on Thanksgiving, but every day of the year. Thanksgiving is an amazing time to create some family traditions that are fun for kids of all ages. If you’ve got something fun you do on Thanksgiving, feel free to share in the comments! How do I find the free printable?